The Ferrari LaFerrari is an extreme hybrid supercar. It uses its hybrid system to boost the available output to an earth moving 949 horsepower. Even with the Formula One style HY-KERS system, an all-electric vehicle, at least in theory, could prove quicker thanks to the instant torque. 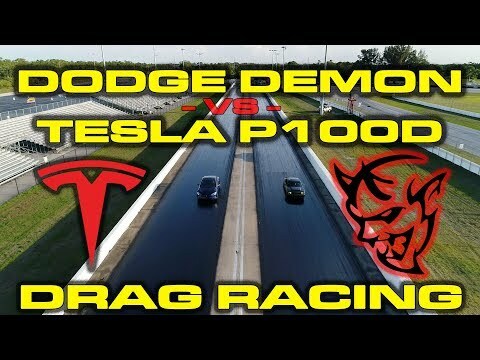 We all know that the Tesla Model S is a pretty fast all-electric performance sedan, but just how powerful is it? With these all-electric vehicles really figuring out real world numbers is much more difficult with current common machinery. For example to figure out the amount of torque that a car puts out most Dynos need to get the engine RPMs, which isn’t really readable in an all-electric vehicle (at least with common machinery). This video shows Autocar as they take a Model S and put it on a Dyno to see just how much power the car can put out. While they aren’t able to get the torque figure, they are able to get the horsepower measurement. With cars like the Model S appearing to be the future of the automobile (for better or worse), it is good to get an idea of the power that is capable from an all-electric car. Now if only it had a nicer sound and didn’t take so long to recharge (the latter is in the works). Check out the video and then let us know what you think of the Tesla Model S in the comments.